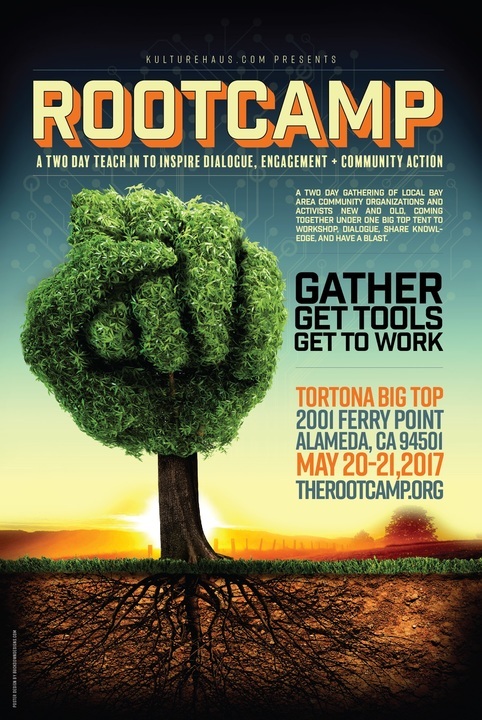 A two day gathering of local bay area community organizations and activists new and old, coming together under one big top tent to workshop, dialogue, share knowledge, and have a blast. Meet movement-building superheroes, leaders of locally based organizations, and citizens like you. Get inspired together through art, films, performances and speakers. Daytime workshops educate and deepen understanding in areas such as inclusion, non-violent strategies, tools for organizing, art and activism. Get plugged into to local groups, gather new tools, and go home ready to be participate in relevant and meaningful ways. We are seeking folks to teach, facilitate workshops and present. We are seeking production volunteers!